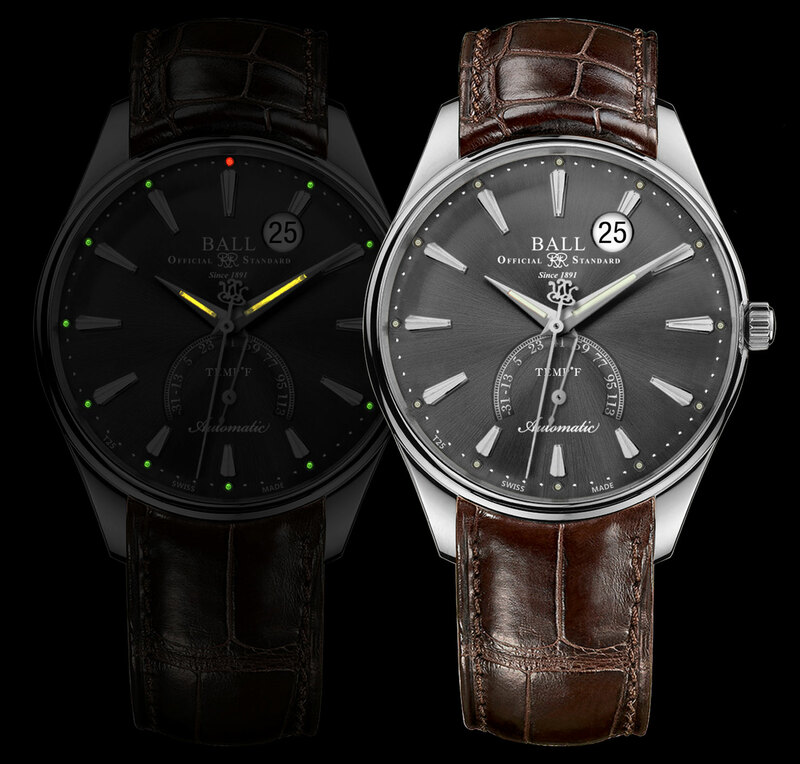 The Ball Trainmaster Kelvin featuring an integrated thermometer is now available in stainless steel. Specs and prices follow. Named after Lord Kelvin, the British physicist who discovered the value of absolute zero (a chilly −273.15 degrees Celsius, −459.67 degrees Fahrenheit or zero degrees Kelvin), the Ball Trainmaster Kelvin is fitted with a mechanical thermometer that indicates the temperate on a scale at six o’clock. Put together by movements specialist Soprod, the calibre RR1601 inside the Trainmaster Kelvin is an ETA 2892 modified to accommodate a thermometer module. It’s an old fashioned thermometer that uses a tiny bimetallic metal strip to measure the temperature; two temperature-sensitive alloys are joined lengthwise, coiled into a spiral and then mounted onto a special plate on the movement. Each half of the strip contracts or expands differently in reaction to ambient temperature changes, giving a temperature reading. Two different dials types are available, featuring thermometer scales calibrated for either Celsius or Fahrenheit units. The thermometer is capable of measuring between -35°C to 45°C, or -31°F to 113°F. The case of the Trainmaster Kelvin is stainless steel and 39.5mm in diameter, with the hands and hour markers featuring embedded tritium gas tubes for strikingly bright nighttime luminescence. Unlike more commonly used Super-Luminova that glows after absorbing light energy, tritium glows because of its radioactivity, giving it a permanent and strong luminescence. The downside is tritium’s half-life, which means its brightness will be halved after about 12 years. 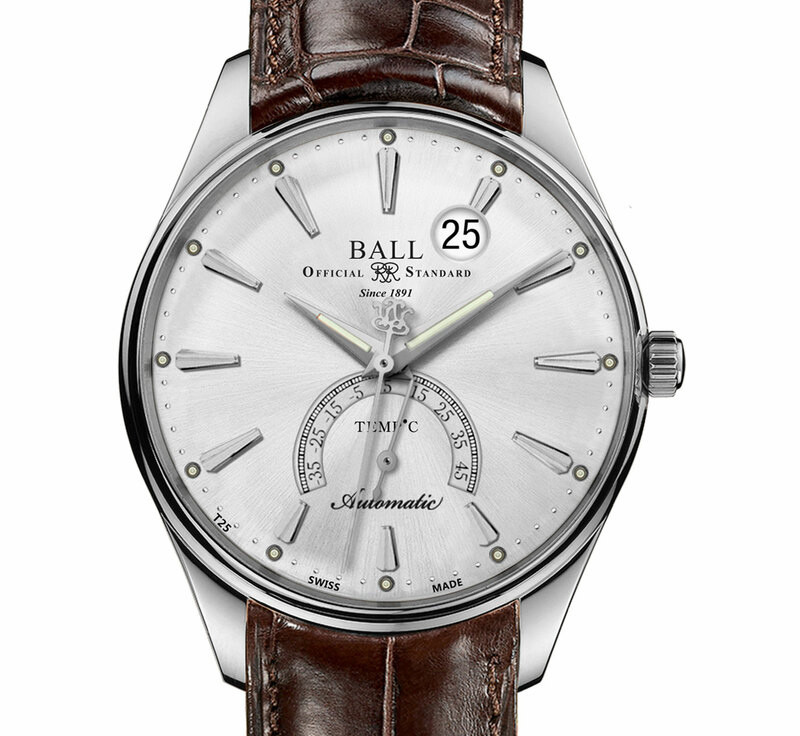 The Trainmaster Kelvin in steel is available from authorised dealers with either a silver or grey dial. While the 18k rose gold model sold for US$8500, the stainless steel Trainmaster Kelvin retails for US$3599, or S$4800.